This weekend, the International Genetically Engineered Machine (iGEM) team at Tech will compete in the World Championship Jamboree at the Massachusetts Institute of Technology (MIT). The event is the largest annual gathering of synthetic biologists. The Tech iGEM team was one of only 15 teams in North America that was chosen to compete in the World Championship Jamboree on Nov. 1-4. Tech’s team was one of 13 North American undergraduate teams that received the gold medal necessary to advance to the world competition from a field of 65 registered teams. Worldwide, nearly 300 teams register to compete every year. Tech’s team is made up of seven undergraduate students: Jack Jenkins, Jessica Siemer, Tilak Balavijayan, Rachael Blackston, Spencer Cooper, Haoli Du and Casey Haynes. The team is advised by Dr. Anton Bryskin, Vince Fiore and Haylee Bachman. 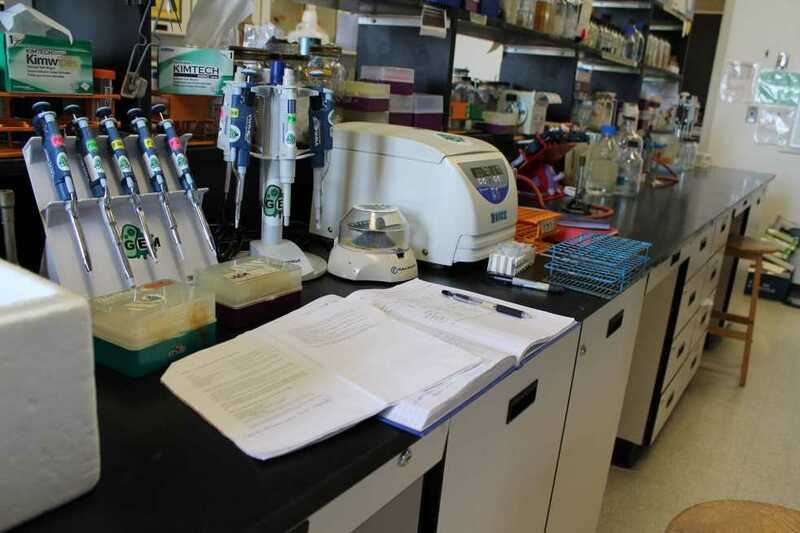 Their lab space was provided by Dr. Thomas Barker in the Biomedical Engineering Department. “Our project was inspired by work related to that of our advisory board… building off of ideas of [Dr. Bryskin’s] research, we developed the idea of creating what we call BioBots. These BioBots are basically cells that can be programmed to have a specific task and used within the body to locate, detect and treat specific problems,” Jenkins said. In the competition, student teams are given a kit of biological parts at the beginning of the summer from the Registry of Standard Biological Parts. Student teams use these parts as well as new parts of their own design to build biological systems and operate them in living cells. The iGEM team worked to accomplish this by attempting to express integrins, a human cell sensor, in E. Coli cells. These integrins will not only be able to sense the environment, but also interact with it in the specific way the integrins are designed to do. They are basically acting to create ‘smart’ technology which can duplicate the function of cells responsible for repair and adaptation. In order to create the BioBot, the team needed to use their kit to develop a toolbox to facilitate the sensor’s expression. According to the project overview on the iGEM website, they targeted four steps that are essential to achieving their first iteration of a BioBot and the successful integration of integrins in a bacterial model, including successful transcription, transport, dimerization and binding. All of the members of this year’s team are new to iGEM. However, they have shown confidence in presenting their ideas and are working to improve on their previous performance as they prepare for the World Competition. “Our team has been working hard to use the feedback given to us by judges and others to make our presentation and poster better than before. While we did well at the first competition, we hope to improve so that we can once again represent Georgia Tech as best as we can,” Jenkins said. Regardless of the outcome of the World Competition the future is bright for iGEM at Tech. “As the international competition grows, I see the importance of the Georgia Tech team becoming more and more important. I hope and believe that future teams will be able to build upon our success and be able to achieve success at both the regional and the world competitions,” Jenkins said.